In Virginia Hamilton, Julie K. Rubini brings us the biography of one of the most honored authors of children’s literature in the twentieth century. The most expansive biography of Hamilton published for young readers, it was vetted for accuracy by Hamilton’s husband, poet Arnold Adoff. It is the fourth installment in the Biographies for Young Readers series, which is quickly building a reputation for substantive and engaging treatments of its diverse subjects. Long before she wrote The House of Dies Drear, M. C. Higgins, the Great, and many other modern classics, Hamilton grew up among her extended family around Yellow Springs, Ohio. The stories she heard from her family fueled her imagination, and the freedom to roam the farms and woods nearby sharpened her powers of observation and encouraged her creativity. As she grew older, witnessing racial discrimination and the response of the early civil rights movement established in her a lifelong commitment to representing a diversity of experiences in her work. 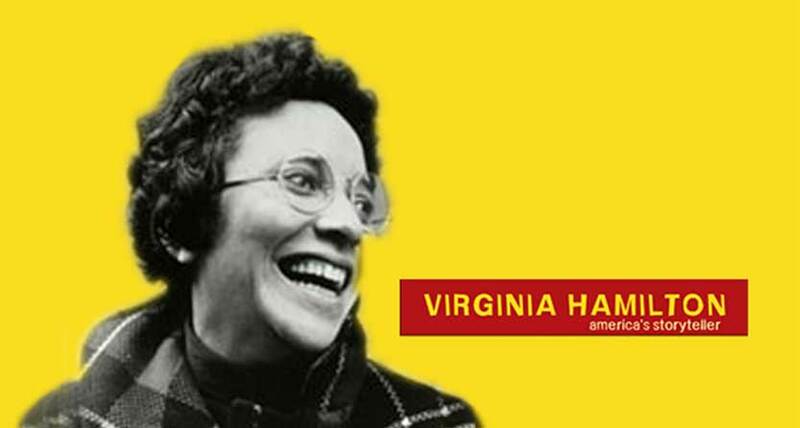 In all, Virginia wrote forty-one books, which are driven by her focus on “the known, the remembered, and the imagined” – particularly within the lives of African Americans. Hamilton’s middle-grade readership will delight in the mix of historical detail, childhood recollections, photos, and quotes that Rubini draws on to bring Hamilton’s story to life. Virginia Hamilton: America’s Storyteller earned a Starred Review from Kirkus! The tapestry of words Rubini weaves together brilliantly portrays the amazing, quirky, shy, frog-loving woman and extraordinary writer who was Virginia Hamilton. Since Hamilton constantly dipped into the well of her own family history for book details, Rubini wisely begins several generations back, with Hamilton’s enslaved great-grandmother Mary Cloud, who smuggled her son from Virginia to Ohio and delivered him to free relatives then disappeared…. Rubini’s biography entertains and informs in equal measure, and because she writes short paragraphs and highlights challenging words, young readers will find this a quick, accessible, and memorable read. Photographs and book covers punctuate the chapters, as do useful explanations of Hamilton’s historical context and impact. Rich backmatter will also make this a useful classroom text. 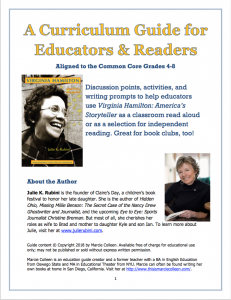 Discussion points, activities, and writing prompts to help educators use Virginia Hamilton: America’s Storyteller as a classroom read aloud or as a selection for independent reading. Great for book clubs, too!